Avocado Pillow Review - Naturally Luxurious? 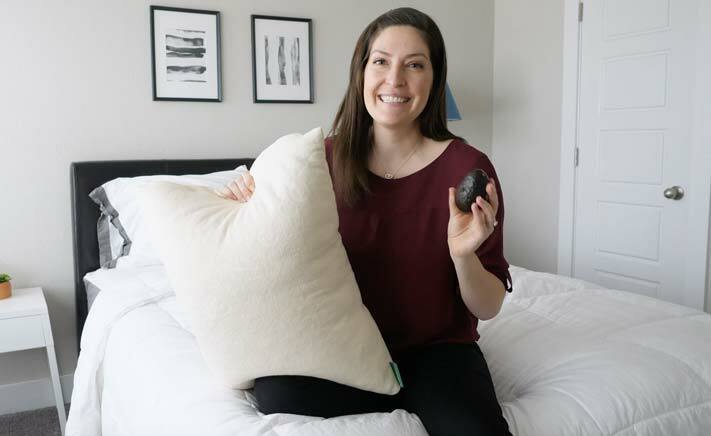 Home » Avocado Pillow Review – Naturally Luxurious? Avocado Pillow Review – Naturally Luxurious? Are you particular about what goes into the products you use? 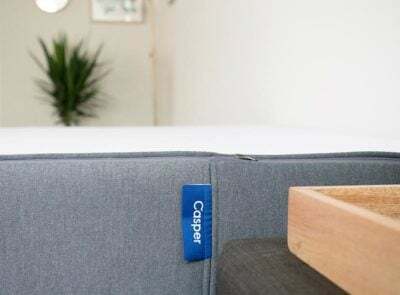 Natural materials, like the kind found in the Avocado pillow, are growing in popularity and bedding and sleep products like pillows are not excluded. 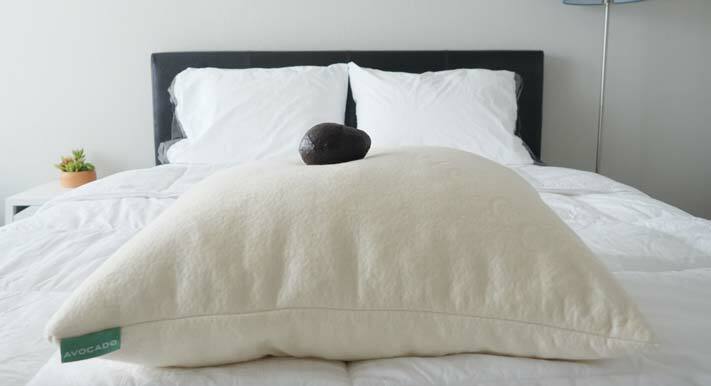 The Avocado pillow is made from natural latex shreds and Kapok fibers and wrapped in a certified organic cotton cover, and it’s vegan and handmade in Los Angeles. Sound pretty good? Check out my full review below for all the details on who I think will like it most. The Avocado pillow is a non-toxic and environmentally friendly pillow filled with a combination of Kapok fibers and natural shredded latex. It has a smooth and plush feel but the shredded latex brings in a lot of support. 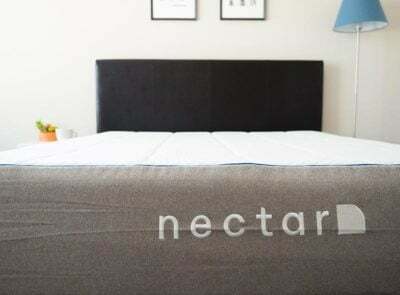 It is adjustable, making it a good fit for all sleep positions, but its firmness lends itself to side and back sleepers. The outer cover is a soft, certified organic/polyester blend. There is a zipper on the side, because the pillow is adjustable. It’s filled with a mix of 100% natural Dunlop latex shreds and 100% natural Kapok fiber (seed pod fluff from a rainforest tree). As it comes, the pillow offers a medium-plush feel (maybe even medium-firm to some). 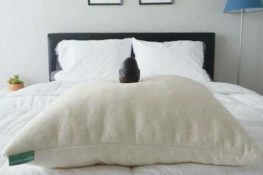 The pillow is vegan, allergen-free, and handmade in Los Angeles. Optional pillow refill bags are sold separately. 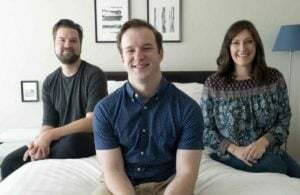 The pillow comes with a 100-night trial and 1-year warranty. The outer cover of the pillow is described as a blend of GOTS Certified organic cotton and polyester. When I asked Avocado what the breakdown was of each type of material, they said that info is proprietary. 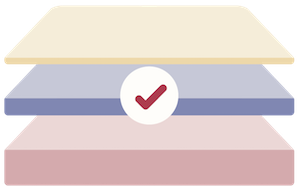 The pillow has a cream color and a light texture, but nothing that would stand out under a pillowcase. Kapok fibers are the seed pod fluff leftover from seeds in a rainforest tree. They’re pesticide-free, non-toxic, and give a nice, downy feel that makes them a natural choice for pillow stuffing. Avocado says its filling makes the pillow “Medium-Plush.” I agree that there is a plush feel to it, but the natural latex shreds really do add a lot of firmness and I think it could even be described as “Medium to Firm/Plush”. Check out our top picks for Best Pillows. The Avocado pillow comes compressed and rolled into a cylinder that fits into a cotton twill bag. You’ll need to open it up and let the natural latex foam shreds expand. Once it’s fully expanded, you may be surprised at how much loft and firmness the pillow has. While testing the pillow, I was impressed by how little my head sank down into the pillow when I used it. 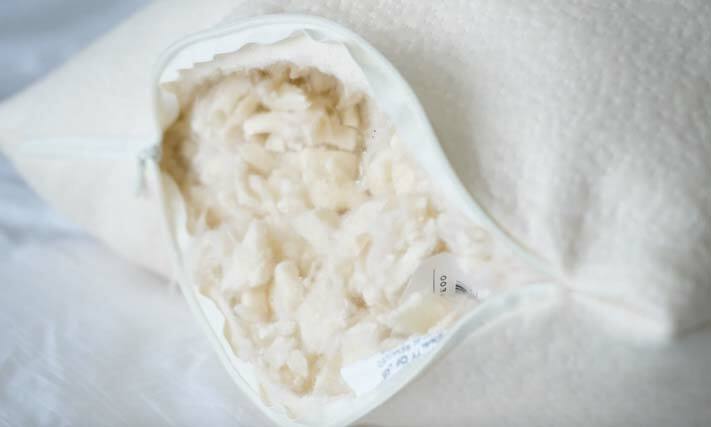 The latex shreds have a lot of responsiveness and bounce to them, mixed with the smooth and plush feel of the Kapok fibers. 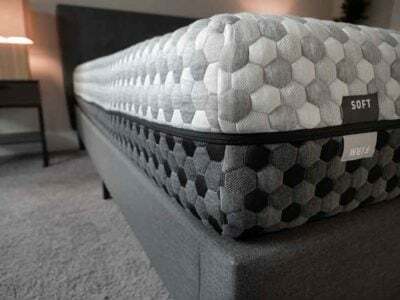 I think the pillow can be a great fit for those who want a shredded foam pillow but are tired of the slow sinking and flattening of shredded memory foam. This really won’t lose its loft quickly, and in my opinion, it almost comes overstuffed. Fortunately, you can remove some of the filling to make it more comfortable. I’m 5’7″ and have a pretty average build. I had to remove some of the filling to be comfortable sleeping on my back, and the original amount of filling was almost too much for me when sleeping on my side. I do like that you can clean the pillow in different ways and that you can easily access the filling. It’s a nice, eco-friendly option that doesn’t skimp on support. It does get a little mark for being such a messy filling; the Kapok fibers get everywhere! As a heavier person, I often have issues with my head sinking too far into my pillow. With the firmer Avocado pillow, I do not have this problem. In fact, this pillow is too firm for me. On my back and side, my head doesn’t sink in far enough, and I feel like my head is being pushed up at an awkward angle. In my experience, the Avocado has a bouncy latex feel mixed with a somewhat lofty feel. While I do prefer more of a memory foam feel, I did like how responsive the pillow was. As I was moving around at night, the pillow bounced back, and it was easy to reposition myself. If you’ve ever gone pillow shopping, you know there are a lot of different types and different materials to choose from. If you have allergies or are looking for a more natural and sustainable option, this could be a good one. The adjustable nature makes it a good fit for anyone, though I think you should at least like foam pillows because you can really feel the latex in this one. 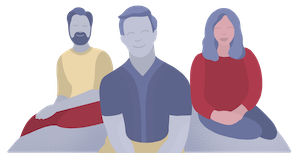 I think it’s a good fit for side sleepers and people with broader shoulders who want a good amount of support. 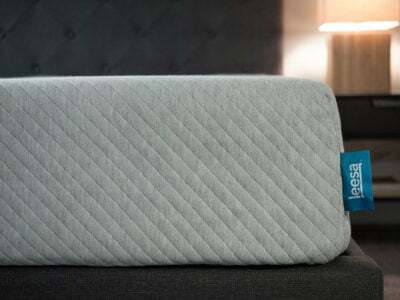 It is on the pricier side, but I think the quality of the materials, the ease of cleaning, and the adjustable nature of this pillow make it worth looking at. Plus, a 100-night trial is a good length of time to try it out for yourself.